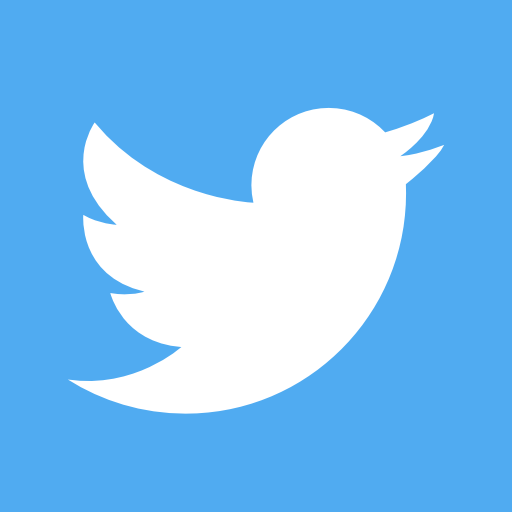 If you would like to submit a question or concern to the Williamson County Road and Bridge Division, you may do so by clicking here. Click here for updates on San Gabriel Ranch Road. Click these links for information on the Long-Range Transportation Plan and Corridor Projects. 2019 Subdivision Street Resurfacing Program and sweeping will begin in spring. Click here for a list of streets to resurfaced or swept. One of the major functions of county government is to build and maintain a network of roads and bridges in unincorporated areas of the county. The County Engineer/Road & Bridge Division has that responsibility. 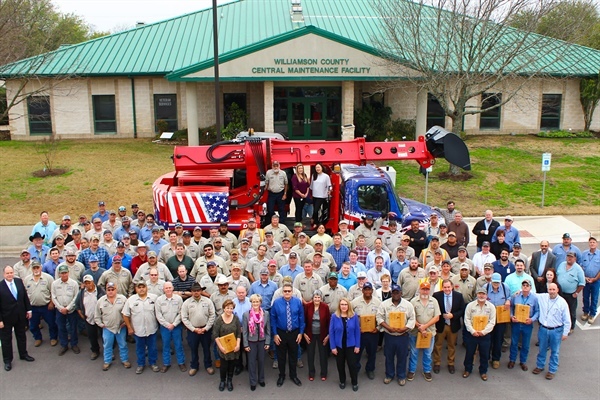 Williamson County is responsible for maintaining approximately 1,400 miles of county roads spread over an area of 1,124 square miles. To learn more about what the Road & Bridge Division accomplishes in a year, click here for a fact sheet. Texas counties have not been given general zoning authority by the state legislature, so the County does not deal with most site plans or issue building permits except for health and safety issues handled by the Williamson County and Cities Health District. For more information, please see Documents and Forms or the answers to Frequently Asked Questions (FAQ's). In the event that you need assistance with a plat or development, please call (512) 943-3330 in advance to schedule a meeting with the county engineer, the county floodplain administrator or any member of our development team. 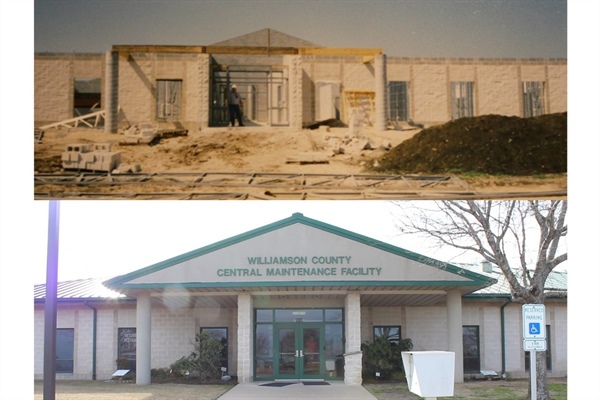 Road and Bridge has been an important part of Williamson County for over 25 years. Many aspects of what keeps you moving come from the hard work performed at Road and Bridge. 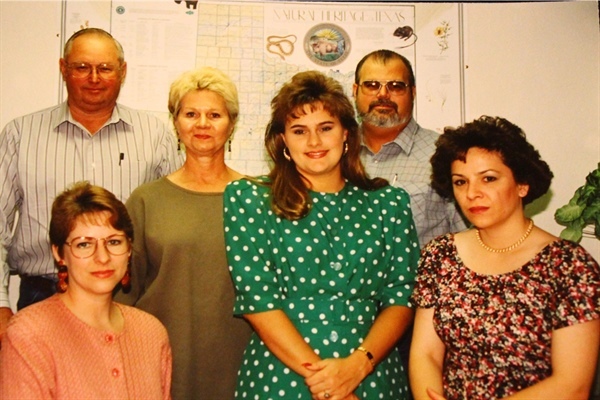 Even in our beginnings as Road and Bridge, our staff has been incredibly important in keeping Williamson County moving! Learn about job opportunities with Williamson County website. 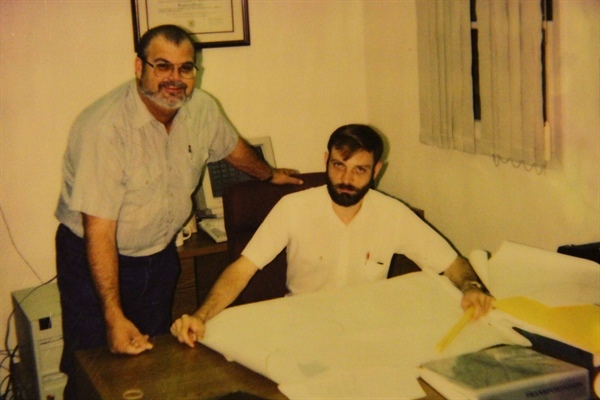 In the beginning, Greg Bergeron was named Director of Road and Bridge, and Joe England was the first County Engineer. The building that houses our Road and Bridge department, the Central Maintenance Facility, has seen quite a bit of growth! To contact our Road and Bridge department, go to Contact Us. The Road and Bridge staff is made up of dedicated and talented people! From our engineers, to road crews, to supporting staff, Road and Bridge would not be as successful without all our team members! 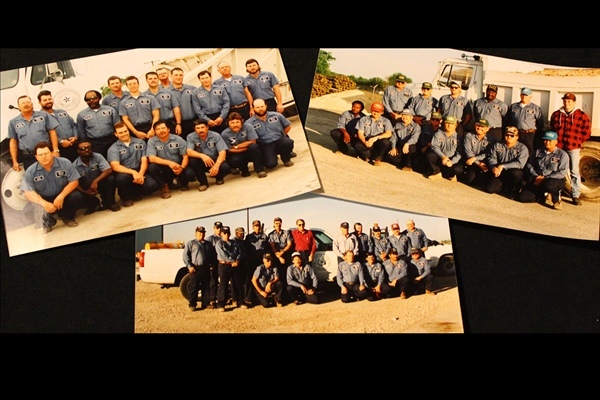 Our Road and Bridge department helps keep you moving throughout Williamson County. 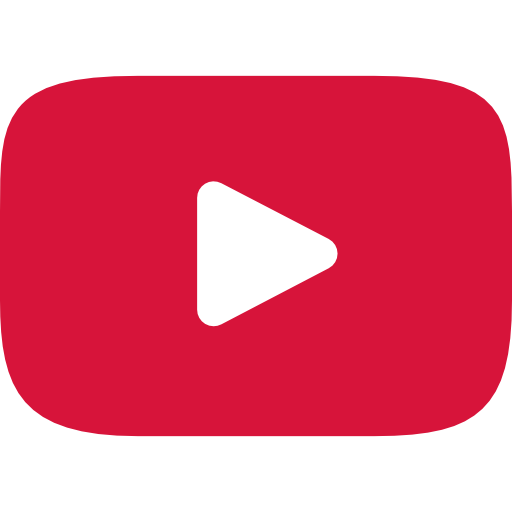 Learn more about our resurfacing program on our Resurfacing Program page. Our staff works so hard, even at having fun! 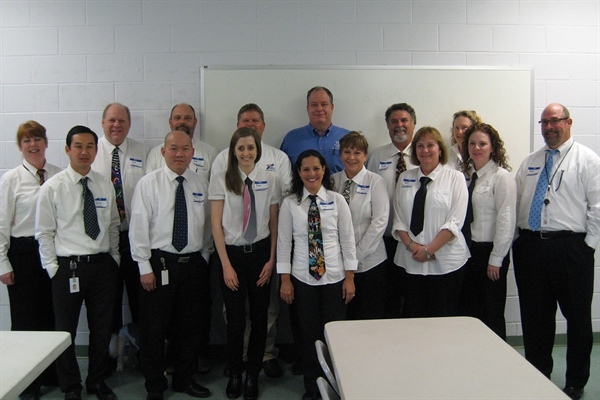 Here they are dressed up for Bob Daigh Day! From our engineers, to road crews, to supporting staff, Road and Bridge would not be as successful without all our team members! More than 530 miles of county roads are located in subdivisions and are maintained by Road & Bridge. These roads have been patched or repaired as needed, but not resealed in several years. Cracks in the roadway allow water to deteriorate the road materials that hold it together and affect its load bearing capacity. In order to ensure that our county roads are sealed and protected from deterioration due to water, Williamson County has begun a major investment in preventative maintenance of our local roads. There will be two different types of resurfacing products that will be utilized for neighborhood streets. The straight sections of roadway will receive what is called a "seal coat" (Learn more about seal coat) and the cul-de-sacs will receive what is called a "fog seal" (Learn more about fog seal). Preparation starts the year prior to scheduled resurfacing. For information on the preparation work for resurfacing, click here. A vast majority of CR designated county roads have little or no pavement structure beneath the surface. The pavements structure is similar to the foundation of a building or a house. Without its presence, roadways cannot withstand the daily traffic loading they receive and the soil below the surface fails. Many of these roads have received numerous patches and repairs in the past, but not a fix that meets the desirable life cycle for this classification of roadway. 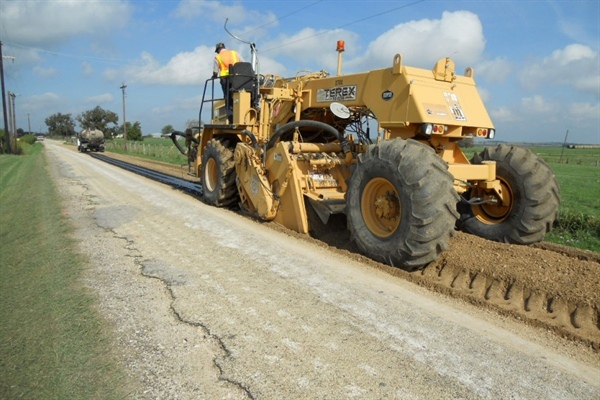 Williamson County has begun a major investment in the sustainable repair of our rural county road system. By analyzing the existing road conditions, we determine whether to improve, replace or construct pavement structures underneath the roadway surface on a case by case basis. To view more information about County Road Major Maintenance, click here. Structures with total span lengths in excess of 20 feet are defined as bridges by the Federal Highway Administration. The State of Texas is required by Congress to inspect the load rating of all bridges every two years. For information regarding the load rating for any of the County Bridges, contact (512) 943 – 3330 or click here. Signs and pavement markings represent an important safety component of our roadway system. For more information, click Signing, Striping and Delineation.